Photo credit: Stack + Co.
Prefabricated projects aren’t just cut and paste construction – at least not when they’re done by Stack + Co. The Boston and Providence-based integrated architecture and construction firm deals with signature design projects that break the mold for their respective fields. Prefabricated –manufactured pieces made offsite for easy assembly onsite – is just one method they’ve incorporated into their portfolio of unique and interesting projects. Here are three examples of prefab projects from the futuristic firm. 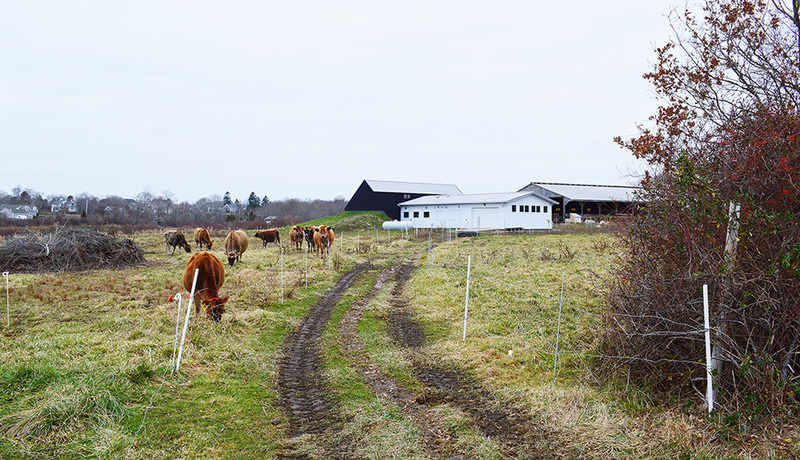 Run by husband and wife team Andrew Morley and Laura Haverland, the Sweet & Salty Farm in Little Compton, Rhode Island is a small, grass-fed dairy farm processing pesticide- and chemical-free cheese and yogurt. To reflect the environmentally conscious business, Stack + Co. came up with a one-of-a-kind design that fit their “farm-to-fork” focus on restaurant and production spaces. 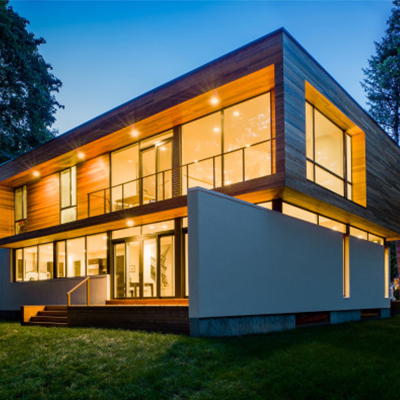 “This is probably our most complicated prefab project,” says Keating. The 3,000 square-foot farm is composed of three different prefab systems with two large pieces. The white pole barn houses the milking parlor for the cows and a section where the cheese is made; this design was the company’s hack on a simple farm building from off the shelf with updated features. The black barn was more ambitious with high temperature control areas that retain heating and cooling for the vaulted cheese aging room that acts essentially as a “cheese cave,” along with the yogurt room and walk-in freezer. 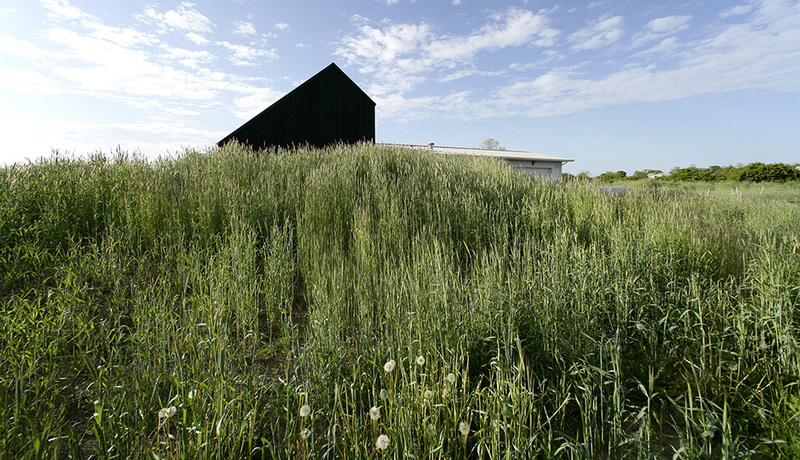 The black barn uses two systems: structural insulted panels (something Keating calls “a sandwich of insulation and plywood”) and insulated concrete forms, which are placed foam pieces with concrete poured inside. The new, 1,800 square-foot house in a wooded area of Wellfleet on Cape Cod honors the modern mid-century homes that have become town trademarks. The Warp House is comprised of three separate pieces all completely made in a factory, leaving only a small amount of work for onsite like deck-building, connecting pipes, and painting. The vast majority of the project is done in the factory – plumbing, electrical work, lighting, roofting, etc. The pieces come on a truck and a crane rigs them in place to mate together. The Stack + Co. spin shaped the house in three tapering tubes, creating a trumpet shape for the pieces to nest together in a fanning formation. The three pieces face slightly different directions to provide different serial views from each window and door of the house. 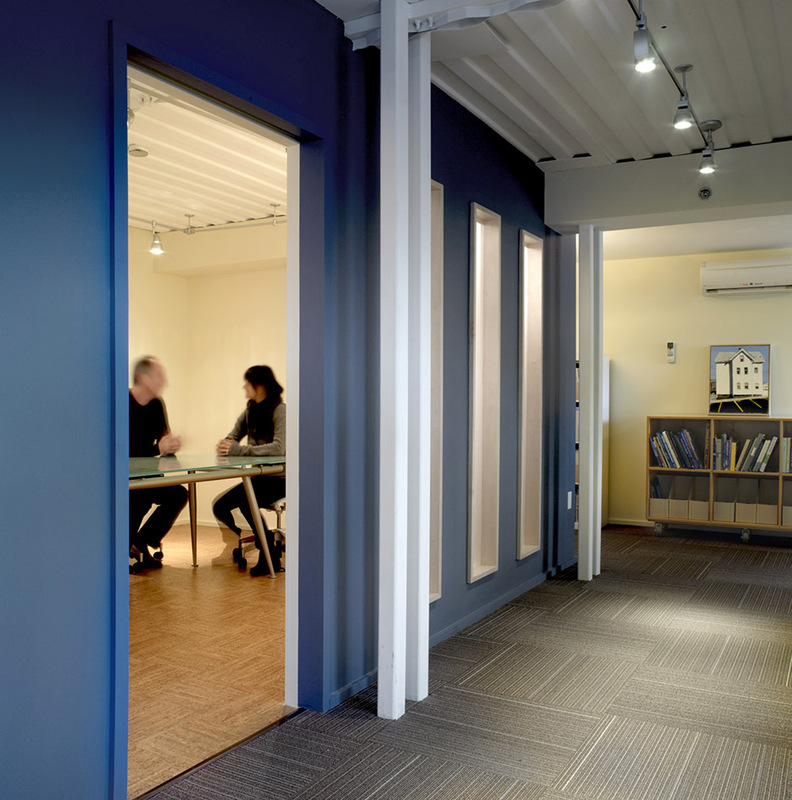 For one of their first projects as a practice, Stack + Co. partnered with Rhode Island-based companies to design this 15,000 square-foot commercial building out of used shipping containers. 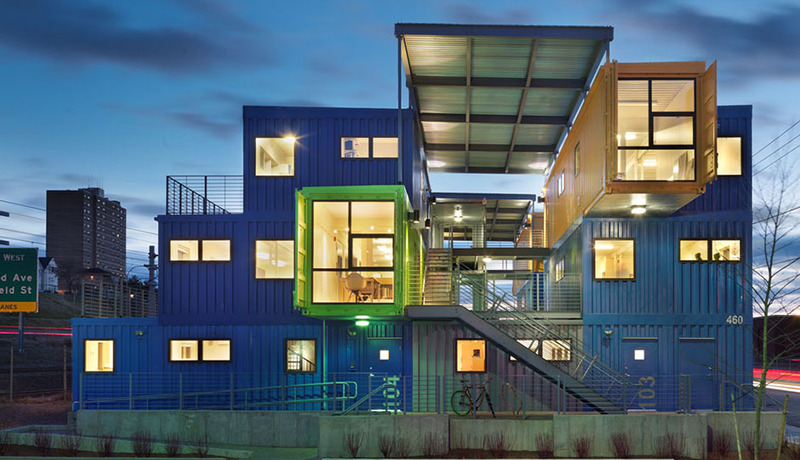 The containers were modified in a yard offsite and installed on the project site within three days. 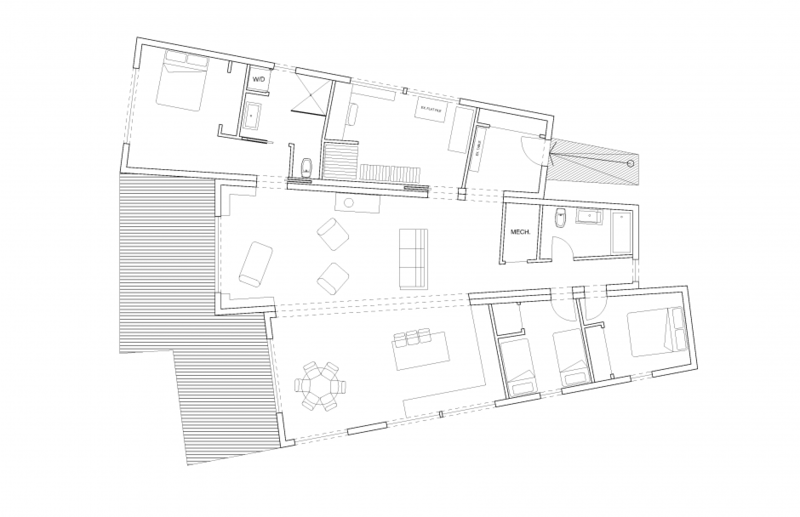 A slightly longer period of window installation and interior finishes followed. While shipping container structures were part of an architecture trend in recent years, many are houses or European commercial structures. The Box Office in Providence is the first multi-story shipping container building in the United States. With prefab, the creative process is kept intact, but this approach reduces the chance of unforeseeable issues related to price, timing, and client expectation. 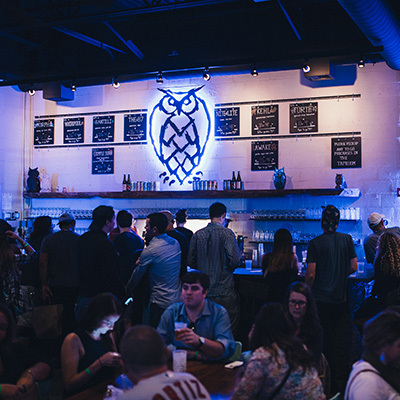 “Everyone has a nightmare story about a construction project that went wrong,” says Keating. “The conventional way of building a house leaves too much to be figured out on the job site. A pile of lumber shows up and the craftsmen interpret very simple drawings into a complex wood-framed structure. This can take much longer and be more expensive than originally intended. The prefab method tries to solve this by doing as much in the factory as possible, and figuring out every detail and selection prior to commencing construction. For a single-family home, we’re only taking four to five months for onsite construction instead of one year”. What is the thing that surprises their clients the most when the project is finished? For more information on Stack + Co. projects, visit stackac.com.